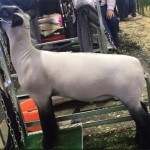 Attention 4-H Leaders of Youth 4-H members that plan to exhibit ANY market animal (market beef steer, bred & springer dairy heifers, market pigs, market lamb, market goat, poultry and/or rabbits) at the 2019 Grant County Fair and the Othello Community Fair. New this year, both Fair Livestock Committees have mandated that all 4-H members must be current with their YQCA Certification. Courses will be offered April 20th and May 18th at the Othello School District Bus Garage, 2040 S. Broadway Avenue and begin promptly at 10 AM and run for approximately 1 hour and 15 minutes. Please share this announcement of the YQCA training and the “How to Register for the Training.” If you have questions on how to register, contact Randy Williams, Lincoln-Adams 4-H Program Coordinator, at 509-869-1818 or randy.williams@wsu.edu. Grant County youth are required to be certified in Youth for the Quality Care of Livestock, YQCA, by July 1, 2019. 4-H and FFA exhibitors not currently certified in YQCA will not be eligible to sell through the Livestock Market Sale. YQCA is also available as an online program for youth everywhere in the United States. Youth for the Quality Care of Animals (YQCA) is a national multi-species quality assurance program for youth ages 8 to 21 with a focus on three core pillars: food safety, animal well-being, and character development. YQCA certification is being accepted by many livestock shows and fairs that require youth quality assurance certification. YQCA is a multi-species program that covers small and large food producing animals (pigs, beef cattle, dairy cattle, sheep, goats, rabbits and poultry). *Currently YQCA is not required at Jr Livestock Show or Spokane County Fair. But neighboring 4-H Counties like Whitman, Adams, Benton Franklin are requiring this program. Grant County 4-H/FFA Steer Weigh and Tag Day is Saturday, April 13, 2019 from 2:00 – 6:00 p.m. at the Grant County Fairgrounds. All Grant County Fair steers, 4-H and FFA, must be weighed and tagged at this time in order to show and sell at the fair. Each exhibitor is allowed to weigh in two steers maximum—they do not have to declare if they are 4-H or FFA at this time. There will be a make-up day the following Tuesday, April 16th from 5:00 – 7:00 p.m. Please call to make arrangements with Mike Garneau, 509.770.1575 for a make-up appointment prior to April 13th. The Grant County 4-H/FFA lamb and goat weigh and tag day is Friday, June 14, 2019 from 1:00– 6:00 p.m.
at the Grant County Fairgrounds.All 4-H and FFA market lambs and goats that will be exhibited at the Grant County Fair must be tagged and weighed at this time. If this date and time does not work for you, contact Sheep Superintendent, Gene Champion, 509.855.8420 or Sarah Smith, 509.760.6946 prior to June 14th to make other arrangements. The state veterinarian has been informed that some market lamb youth have been using an unapproved product (melatonin) in project animals. Please share the information below widely so we can stop this ILLEGAL activity. Although melatonin is available over the counter as a sleep aid/regulator for humans, it is classified as a dietary supplement and therefore not approved by the Food and Drug Administration (FDA). The FDA does not approve or license dietary supplements; it only tests them for safety (no contaminants, etc.). The National Pork Board is excited to announce the transition of the Youth Pork Quality Assurance Plus (YPQA) to the new Youth for the Quality Care of Animals (YQCA). Within the past few years, educators and livestock industry professionals have noticed NPB’s success with the YPQA program and determined the need for a multi-specie (beef, dairy, goat, poultry, rabbit, sheep and swine), science-based educational program, offering access to every youth exhibitor ages 8 to 21, nationally. Annually, youth food animal producers raise thousands of food animals that contribute to the U.S. food supply. This contribution measures in the millions of pounds of consumable food animal products. Understanding how to produce a safe wholesome food animal product can only come from a comprehensive educational program focused on proper care and welfare of food animals. So a group of educators and livestock industry professionals have been working on developing this program to meet the needs for a multi-species program. YQCA will provide a common framework for youth food animal quality assurance programs that will enhance the educational experience of youth, improve the care of food animals and provide a higher level of food safety to consumers. This program will embrace the founded principles of food safety that all quality assurance programs cover, with added information addressing animal welfare, such as daily health observations, proper use of medications, and establishing a valid Veterinary Client Patient Relationship (VCPR), to mention a few. Those principal topic areas are similar across the species covered in the YQCA curriculum. The YQCA program is set up for any youth in the U.S. to have access to the online program and gain their certification. The national YQCA program launched March 2017. Ensure safety and well-being of animals produced by youth for showing and for 4-H and FFA projects. There will be a $12 fee for participating in the online training. Some have expressed concern about the cost. However, I would like to remind all that this is a cost of raising a food animal—just like buying feed, show supplies, etc. Also, these programs are essential and demanded by some of our major packing plants we supply animals to. With young producers and beginner 4-H leaders/parents often involved in the raising of these food animals, a solid educational program will not only build confidence with consumers purchasing your animals but will also help youth be better informed and raise a better-quality food animal. Participating in the YQCA Quality Assurance program for youth and food animal production is a win-win for everyone. I highly encourage everyone raising and exhibiting an animal that will be sold to produce food to go through the YQCA online program. At the current time only swine exhibitors are required to participate in a Quality Assurance program to participate in the Grant and Adams County Fairs. For kids raising lambs, goats, beef cattle, dairy heifers, poultry, and rabbits, being proactive and participating in this program before it is required will show your commitment to raising high-quality food animals. To participate in the YQCA online program go to http://yqca.org. In addition, producers, clubs/chapters, businesses, industry sponsors, or others that would like to support youth to participate in this program can go online (http://yqca.org) and purchase the $12 coupons and distribute to youth to take the YQCA program. If you have additional questions, contact Randy Williams, randy.williams@wsu.edu; 509-869-1818, Paul Kuber at pskuber@wsu.edu , or Sarah Smith at the WSU Grant-Adams Extension office at smithsm@wsu.edu or 509-754-2011 ext. 4313. In addition to the above information, there will be a one hour YQCA informational presentation given by Sarah Smith at 4-H Super Saturday on February 24th at Park Orchard School in Moses Lake. Please watch for times of presentations in future Friday Updates. Don’t wait till Show or Fair time to fill out your QA Marktet Health Form!! Take a blank form with you when your PURCHASE your animal! The Market Animal Health Record (QA) Forms, revised in 2008, satisfy most Fair Livestock Sale QA Health Record and Country of Origin Labeling, (COOL) record requirements. Click HERE for forms. As a young person, I was very fortunate to spend nearly 10 years showing in junior and open cattle shows with my family. And, we were also very thankful to have tremendous success at all levels. My sister and I still hold the record for the most number of grand championships . . . It has been more than 10 years since I showed in a junior show (wow I feel old), but now that I look back on showing, I have realized that there are certain things that are WAY more important than where you place at the show, and how much you spend on your animal. These are things that NO ONE can take away from you, no matter how old you are, where you are from, or where life takes you. Be kind of others. Basic kindness is one of the most important things you can practice when you’re at a livestock show. There are thousands of opportunities to do this at a show, . . .
Say Thank You. You can never say thank you enough . . . Learn from successful people. When you go to a show, it doesn’t take too long to realize the people who are “in the know”. . . . Enjoy family time together. . . .
Inspire someone else. Trust me – you will – even if you don’t realize it. Right now, no matter who you are, where you are from, or how old you are, I promise you there is someone out there who looks up to you. . . . Learn the business side of things. Showing livestock teaches you a lot about business, and that is something you will always use. . .
Make friends. . . . Apply For (And Earn) Scholarships. The scholarship aspect of being involved in showing livestock is huge! . . . Learn that It’s Okay to Fail. . . . It’s hard to lose. 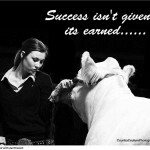 It’s hard to fail, whether it is in a show ring, in life, in school, in elections, in businesses, or in relationships. But everyone has failed somewhere. And the good thing is, it is never too late to start over or try again. Showing cattle teaches us to take risks. . . . Thanks to Randy Williams, Lincoln-Adams 4-H Program Coordinator, for spotting and sharing this article. As YOU begin to purchase and feed your livestock for the Junior Livestock Show or county fair this spring and summer there is one additional item that is important for you to consider in feeding, managing and keeping records for your animal. There are many reasons why kids decide to join 4-H. One of the most popular is the love of farm animals. Having the opportunity to care, feed and manage an animal brings a lot of satisfaction to our daily lives. We realize that the well-being of our project depends upon US and for most of us that is a great feeling. Some of you enjoy showing your animals at Jackpots, County Fairs and Regional Livestock Shows. Those who take this activity real serious spend hours training, clipping and preparing. This is your MOST favorite part of raising an animal! I would be willing to bet, however, that one of your LEAST favorite responsibilities is KEEPING RECORDS! Recordkeeping helps . . . Complete article includes link to livestock record keeping ap. Registration is now open for the Jr. Livestock Show of Spokane. Their main website is “taking too long to respond” and isn’t loading easily . . . however – click the links below for the show schedule and the Registration Page. Reminder if you plan to enter – be sure your 4-H enrollment is officially activated! Even though the following article is directed to youth swine exhibitors, FDA’s Guidance 209 and the Veterinary Feed Directive (VFD) rule will apply to ALL large animal livestock; beef, sheep, swine, lamb and goats intended for food consumption. For youth swine exhibitors, parents and project advisors, Jan. 1, 2017, will usher in major changes in accessing medicated feeds for show pigs. That’s when the U.S. Food and Drug Administration (FDA) will implement new rules, known as Guidance 209, for antibiotic use in all animals raised for food. talent for showing animals while others develop the skill of showing livestock. Dress neatly and professionally. Dress comfortably, yet appropriately for the show ring. Wear a long-sleeved, button-front shirt or blouse. In extremely hot weather, a short-sleeved, button-front shirt is permissible. It is more professional than a polo-type shirt. The shirt should be tucked in. Wear clean dress pants or jeans with a belt. Spaghetti-straps, low-cut tops, blouses or T-shirts, and worn, ripped, or faded jeans have no place in the show ring. Many of you may not be aware of Jackpot Shows for Youth Livestock Exhibitors. Typically, Jackpot Shows are a one day event open to ALL youth in different age brackets. 4-H and FFA members who are preparing their animals for County or State Fair can utilize these shows as a way to gain more experience in preparing, fitting and showing a steer, hog, lamb or goat. Livestock enthusiasts who organize a Jackpot Show secure the show facility, seek sponsorship money from local businesses, advertise, and distribute entry forms. For most jackpot organizers, a highly qualified judge is critical to the success of the show; an individual who is knowledgeable, can relate to kids, and is talented on the microphone is paramount. Reference to specific Jackpot events is provided for informational purposes only. No endorsement of the named jackpot/prospect show is intended, nor is criticism implied of similar shows not mentioned. There are many other Jackpot and open events like the Wheatland Jackpot Show that may provide valuable experiences for youth. Please be aware that the WSU 4-H youth development program may not be the sponsor of some of these events and is not responsible for any of the activities or outcomes associated with the non 4-H sponsored shows. Preparation prior to the show is critical for your expected success at the show. The following are guidelines to follow: 1) One week prior to the show, 2) Leaving for the show, 3) At the fairgrounds, 4) Show morning, and 5) In the show ring. If your pig is on a self-feeder, monitor its appearance closely. Some pigs may look more attractive if you begin to hand feed instead of remaining on the full feed. I am definitely a beef cattle judge, however, I have judged and witnessed many swine shows and judging classes over the years to know that even though, watching hogs being driven from outside the ring looks easy, it can be challenging from inside the ring as a showman. Show day is finally here! There are many things that you will need to consider, now that you have spent months in preparation. All your hard work in selecting, feeding, managing, and training will finally be realized…TODAY! One of the biggest differences that I have witnessed as a beef cattle judge is observing show cattle that have had their hair “worked” and those that have not. Working hair on a daily basis 2-3 months prior to the first show has an amazing impact on the appearance of your calf. These cattle have a fresher and healthier look to them. This is especially true with cattle that are just coming off a long cold winter where they are beginning to shed their hair. Washing once a week and rinsing daily will promote this natural shedding process and enhance the growth of new hair. The use of a show conditioner (Show Sheen* or Sullivan’s Revive*) can also be used to enable the hair to stay soft and to promote a healthier hide on your calf and reduce the appearance of dead flaky skin. This is the first of several articles to follow that will address many of the current issues and events relative to your involvement as a 4-H Program Volunteer or 4-H Member. A good showman is a person that has a sense or knack for an effective presentation of an animal. 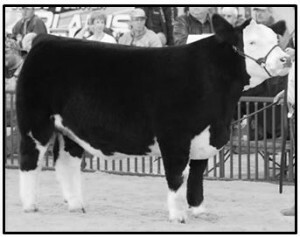 Showmanship is the one area of exhibiting beef cattle over which you have the most control. In showmanship, you are judged on your abilities to control and present your steer or heifer to bring out its best characteristics. Advanced planning and hard work are the keys to becoming a good show-person. Showing beef cattle not only generates enthusiasm and competition in the show ring, but also teaches valuable lessons that can be used in day to day life. These lessons include responsibility, learning about work and determination to reach a goal, winning graciously and losing with dignity. 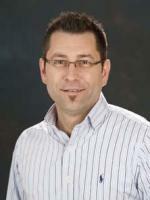 The following paragraph was written by Mark L. Wahlber from Viginia Polytech & State University. He brings out some very good points, which I have underlined. I encourage youth and parents to keep Mr. Wahlber’s words in mind when preparing and conducting themselves for competitions involving 4-H/FFA livestock. Are you really a champion?—ask your conscience! If you had to break rules or used unethical techniques (written or unwritten—you know what they are) was your animal really the best or were you a champion? Remember, many animals and showman that did not receive purple ribbons are champions because they conducted themselves in an ethical and sportsmanship like manner. And not all purple ribbons are champions—if you cannot look yourself in the mirror and feel good about what you did—then you just experienced a shallow victory! An interactive information network focused on answering pork producers’ questions and providing extensive information on all facets of pork production! There are fact sheets, short videos, how-to guides and numerous other references covering a wide range of subjects. This free and easy to use resource is a valuable tool related to the production of pigs and pork. Note: Last Revision – 2008. Check with the specific show, fair, or sale committee for from requirements. You should take a form with you when you PURCHASE an animal. Keep and update as needed till fair time. *This supplemental form is suitable for youth producers raising their animals from birth or animals that suffer serious illness or injury that require additional record keeping entries for treatments or medicated feed. For those with no or slow internet access, Lincoln-Adams volunteers can contact Karen or call 659-3209 or 725-4171 to make arrangements to view. The WSU Veterinary Medicine Extension site is a good place to visit for up to date information related to ag. animal health. the hair on as well! length on the body of the pigs. Showman will be expected to pen their hogs. Keep their eye on the judge. *This page provides links to external sites for the convenience of users. These external sites are not managed by the WSU Extension. Furthermore, WSU Extension does not review, control or take responsibility for the content of these sites, nor do these sites implicitly or explicitly represent official positions and policies of WSU Extension. Reference to commercial services, non-4-H activities, products or trade names is made with the understanding that no discrimination is intended and no endorsement by WSU Extension or 4-H is implied. Livestock Resource List See NEW Beef & Swine Judging Publications & links to Livestock Carcass Calculator! My name is Randy Williams and I became the Lincoln/Adams 4-H Program Coordinator in November, 2015. I am originally from the Reardan/Davenport area where I was raised on a wheat and cattle operation. I graduated high school from Reardan and received my Bachelors Degree in Agricultural Education and Masters Degree in Animal Science from WSU where I conducted meat animal research, taught the Advanced Livestock Selection course and coached the Collegiate Livestock Judging team. My teaching career has spanned over 34 years at Ephrata, Mead and Medical Lake High Schools. I served as Ag teacher and FFA Advisor and am honored to have positively influenced the lives of thousands of kids during my professional career. I also have and continue to serve as Beef Cattle Judge at many county and regional shows across the northwest and California. Manage the 90+ volunteer leaders for the 12+ 4-H clubs and over 230 members with a focus on Animal Science. Develop, promote and facilitate 4-H youth development education programs such as clinics, shows and competitions. I am excited and look forward to the opportunity to serve YOU! 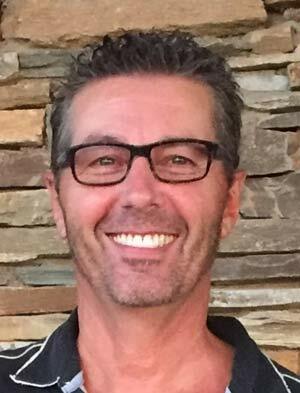 Dr. Paul Kuber has been the WSU NE Washington Regional Livestock Extension Specialist since February 1, 2015. Paul serves a multi-county region across northeastern Washington and is headquartered at the Lincoln County WSU Extension Office in Davenport. Lauren Hrncirik, M.S. continues in her role as the 4-H Youth Development Regional Specialist for the Grant-Adams Lincoln Area and Karen Robertson continues in her WSU Extension Program Support Role, assisting Lincoln-(East) Adams WSU faculty, volunteers, and the 4-H program.